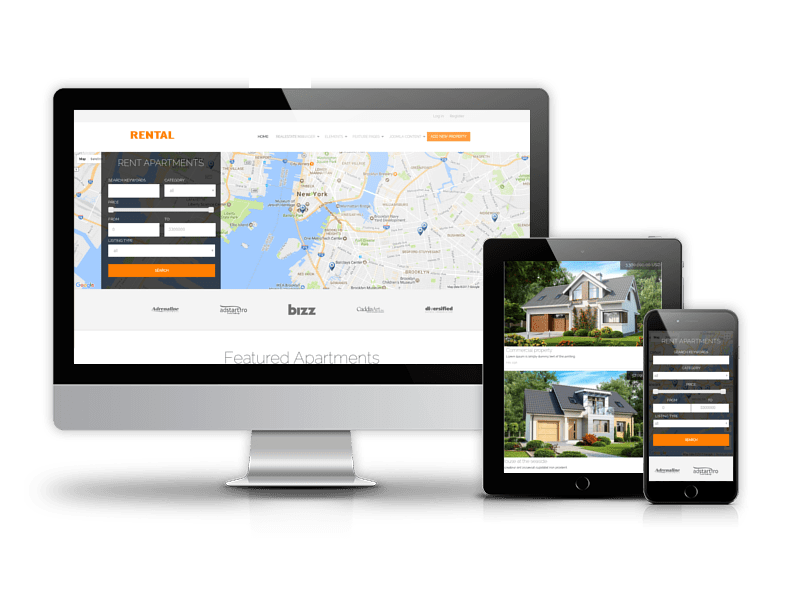 Real Estate November is a beautiful Free Joomla template built for design, interior agencies, home staging sites and businesses of the same kind. 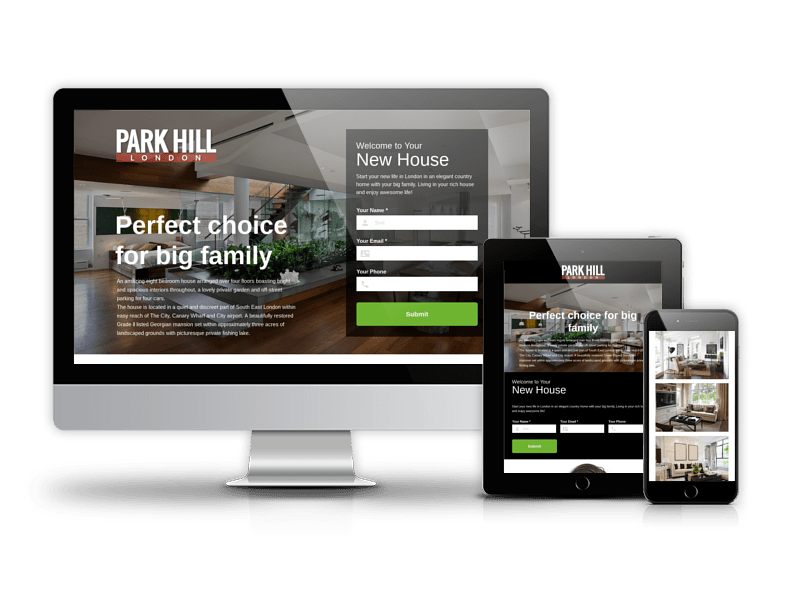 The home page of free Real Estate template is divided into several blocks that make it easier for you to organize the content and make its look more structured. 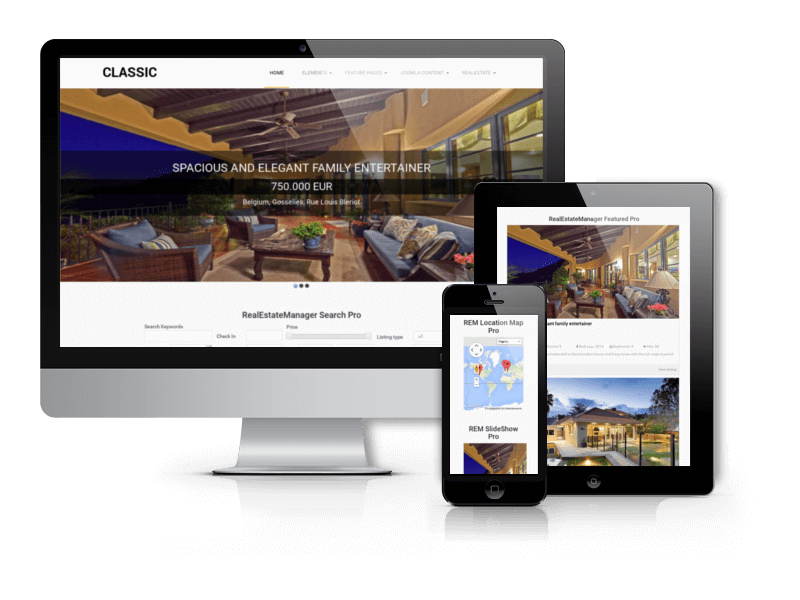 Awesome slider allows you to demonstrate your properties for clients, flexible search helps visitors find any property very quickly and real estate modules built in template is a nice solution for showing your villa, land, apartment, house. 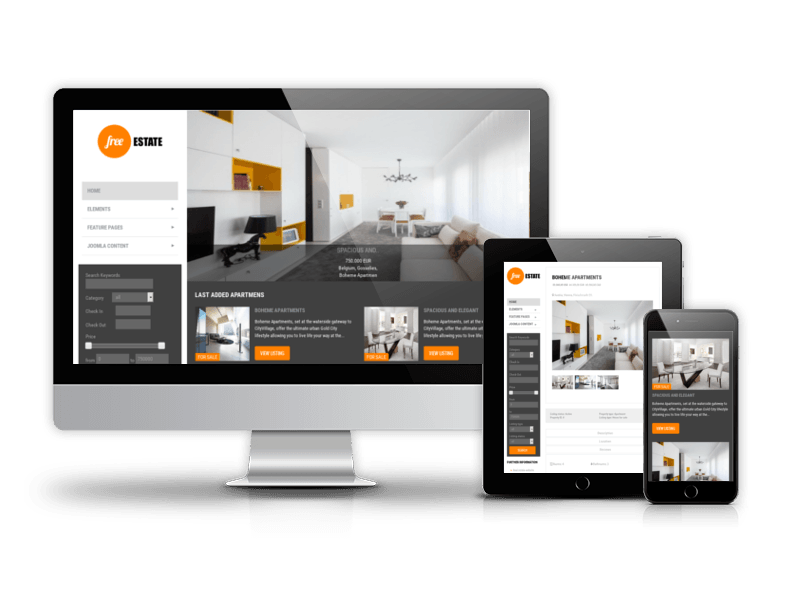 Real Estate November based on Real Estate Manager Basic - Joomla Real Estate Component. For instance with it help you can easily create menu items for all categories, from backend administrator can easily manage properties, users will have an ability to book property using nice forms with calendar and send message to agents and much more. 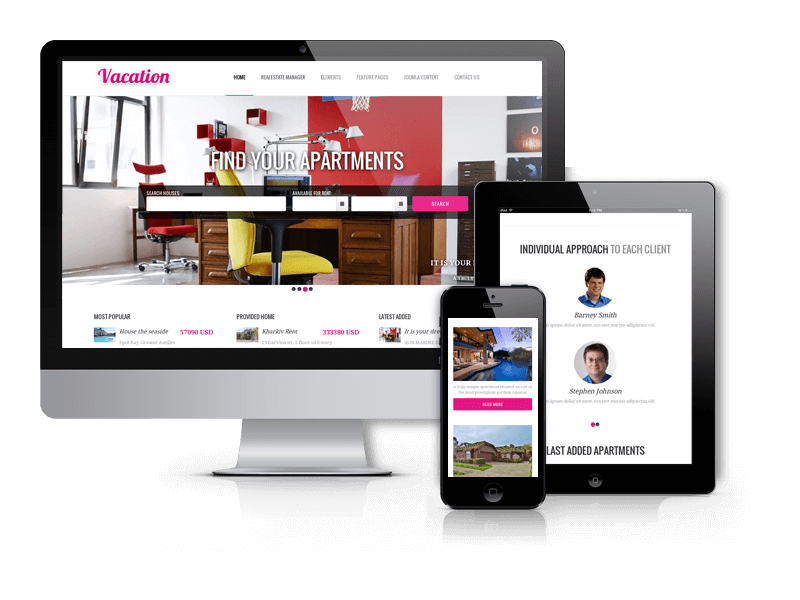 Thanks to a Module Touch Slider for Joomla real estate extension, Module Featured for real estate website builder, Module Search for real estate booking software, Real Estate Manager Google Location Map this free real estate template ensures a dynamic look. Combined with a powerful marketing strategy, such a design will help you boost profit and engage more visitors in no time. Well written code, makes you comfortable to redesign the theme. Well documented help file helps you modify and edit this template according to your own wish. We provide not only free template, but Free Joomla Quickstart package that includes template, Real Estate Manager Basic, sample data (for newcomers) and all modules. And all this you can get absolutely FREE! Besides, Real Estate November available in PRO version with all pro components, modules, plugins. 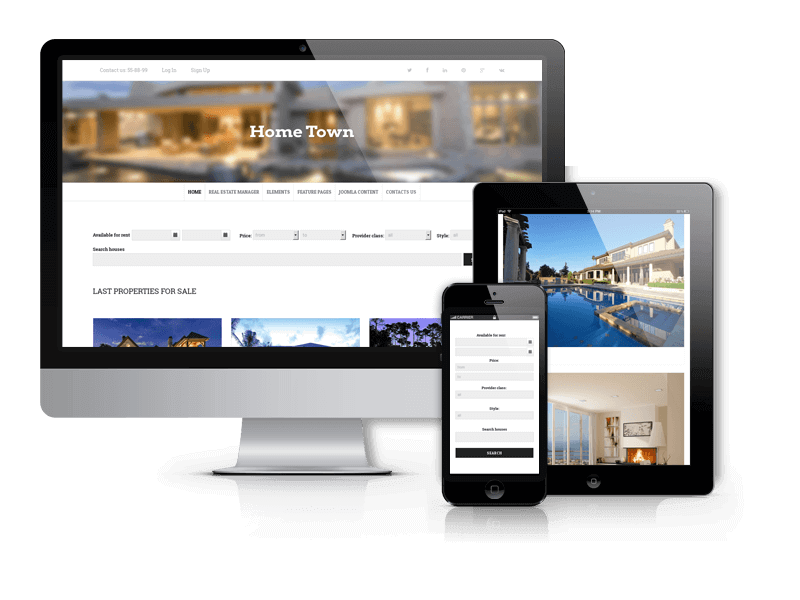 Real Estate Manager PRO - real estate website builder, Joomla Forms, which allows you to easily build amazing Forms through a drag and drop interface, Sh404SEF will helps you improve your search engine rankings - all this are parts of PRO Real Estate November. You will get also PRO versions of Module Featured Joomla real estate extension, Real Estate Manager Google Location Map, Touch Slider, Module Search for real estate booking software in Joomla Quickstart package. Don't waste time - buy PRO Real Estate November and make your website amazing. Due to Joomla Blank template, Booking comes with a wealth of module positions to place your content exactly where you want it. 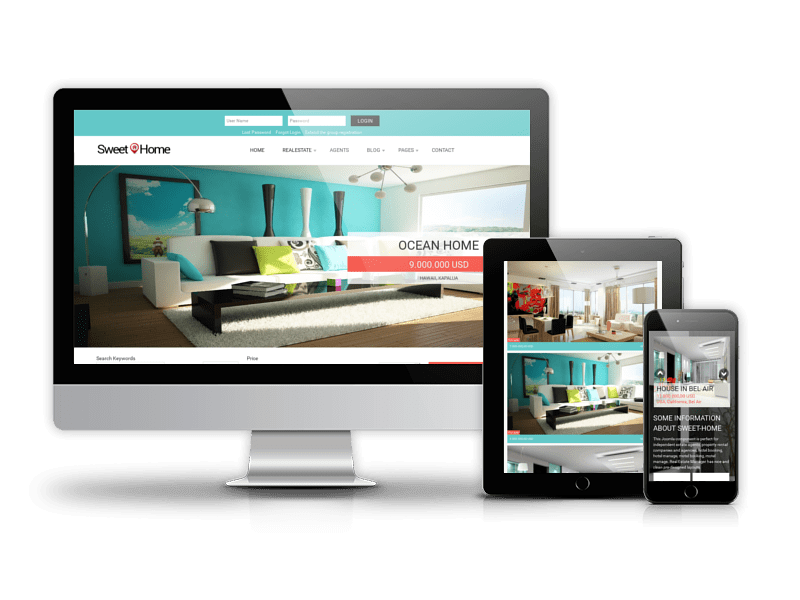 Template is built on Bootstrap 3 - the most popular, sleek, intuitive, and powerful front-end framework for developing responsive, mobile-ready websites. LESS is a templating language based on top of CSS. It provides numerous enhancements to speed up development and make its maintenance easier. Real Estate November fully compatible with all browsers: Chrome, Firefox, Safari, Opera and Internet Explorer 9+. Choose best Google font for your website via admin area and make your design more attractive with amazing fonts from Google. 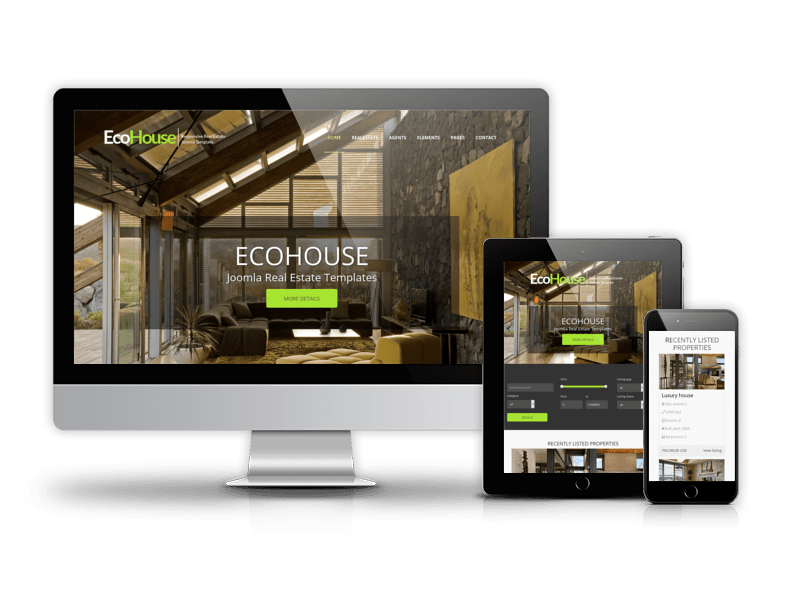 Beautiful and clean real estate Joomla templates are designed specifically for real estate management agencies, brokers, agents and realtors and any other properties related businesses and real estate portal websites. With Real Estate Manager you can sell apartments and rent ones. 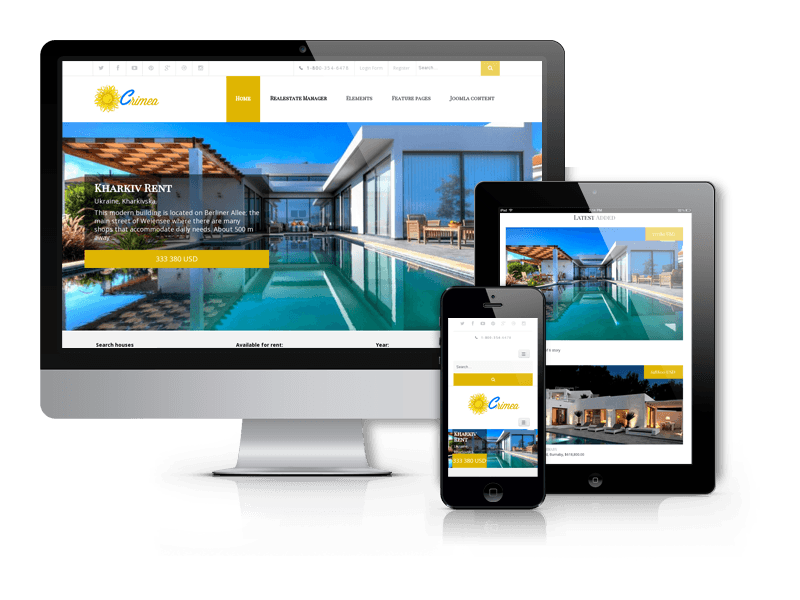 Therefore, all real estate templates are suitable for the delivery of real estate: hotel websites, rent cheap hotels, hostels, mini hotels, apartments, rental of country houses, villas. Despite the fact that all the templates are different, the functionality can be customized and expanded as you need. All real estate Joomla themes come with Bootstrap based code, cross-browser compatibility, a responsive layout, a Quickstart package, easy customization options, support for Google Fonts, Real Estate Manager Joomla software with ability to display properties, search (default, advanced, by location), show featured properties (default, list, map), display real estates on the map and more. You can add or remove certain fields depending on your needs. Each real estate template has an agent user profile where are all the houses of this agent are represented. 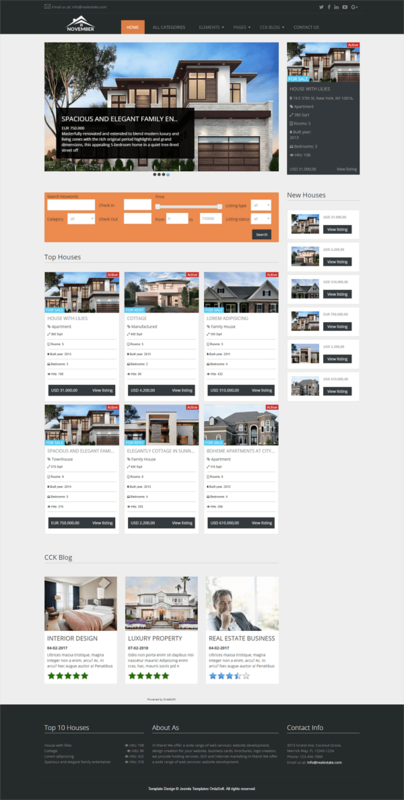 Choose one of these professional property website template or get access to the entire collection (currently 20+) of best real estate website templates with our OrdaSoft templates and extension clubs. 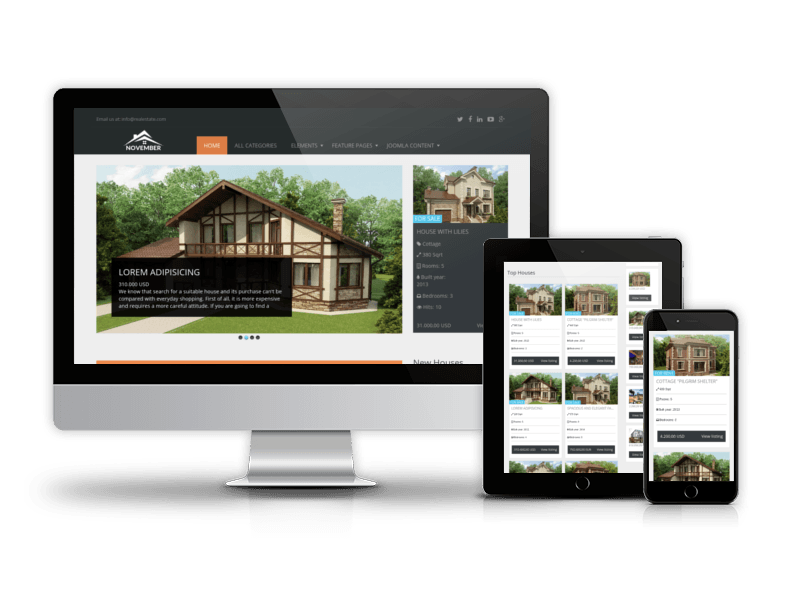 Do you want to create an awesome real estate website with our help? 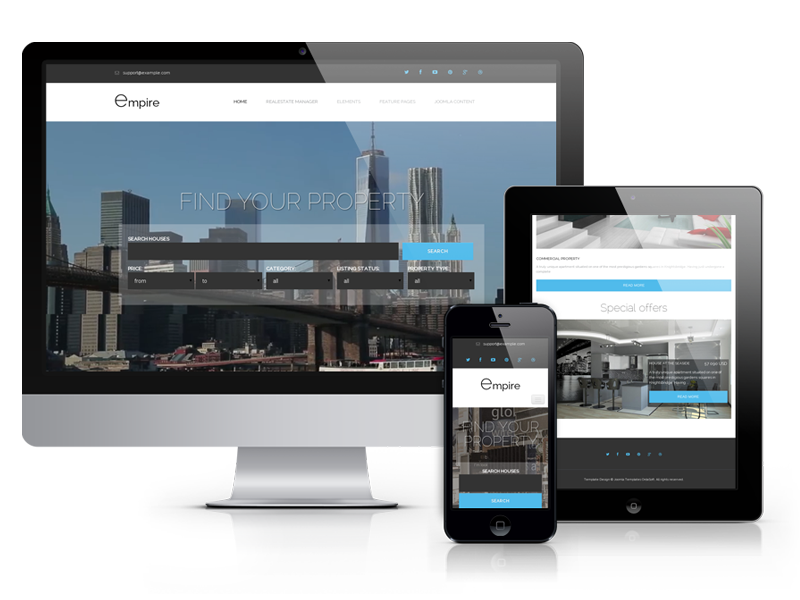 Use our service Ready Real Estate Website. Use new technologies of real estate sales for realtors. Try our service MLS IDX RETS Integration. Can't decide which template to choose?